The company revealed today that the game is launching at 6am in the morning European time, which means US West Coast players will get to jump into the Exiled Lands at 9pm on January 30th. To kick off the countdown for the final week, Funcom is today premiering the Official Cinematic Trailer for the game produced by the talented artists at Bläck Studios. The trailer sets the tone for the savage and barbaric open world that players have to survive, build, and dominate in. 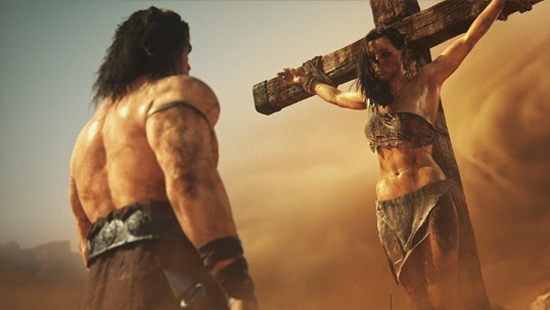 Conan Exiles is an open-world survival game set in the brutal lands of Conan the Barbarian, the world's greatest fantasy hero. The game can be played on private and public servers, either in multiplayer or local single-player. In the world of Conan Exiles, survival is more than tracking down food and water. Journey through a vast, seamless world filled with the ruins of ancient civilizations, uncovering its dark history and buried secrets as you seek to conquer and dominate the exiled lands. Conan Exiles will be released into Early Access on the PC on 31 January 2017 and will hit the Xbox One Game Preview Program in Spring 2017. The game will also make its way to PlayStation 4 at a later date.